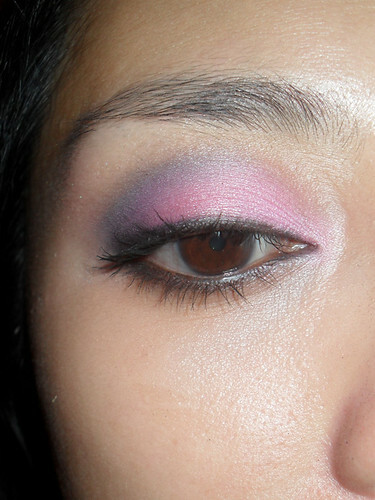 I’ve always sworn I would never wear anything noticeably pink on my eyes, because the paler ones look flat and uninteresting and the stronger ones can make your eyes look swollen. But owning a 120-color palette makes you try strange things. Here is a blow-by-blow of my first brush with pink. 2. 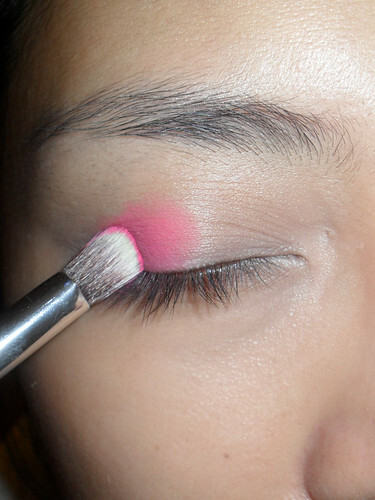 I blended a milkier sakura pink matte shadow onto the inner half of the lids. 3. Now the REAL trick is to define everything with black. So I traced my top and bottom lash line with matte black, and then defined the outer corners with V’s, bringing the line of black up halfway to the center of my sockets. 4. After blending out any lines with a fluffy blending brush, I further darkened the lash line with black pencil, then swept it along the water line as well, for a more dramatic and defined eye. 5. 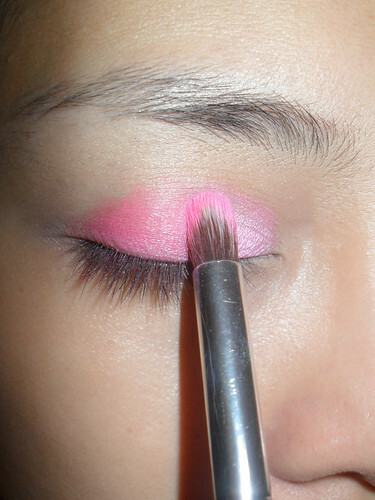 Last comes lost of black mascara, and more neon pink swept over the center of lids with a soft brush to put back some of the color that’s been rubbed off by then. The black is very important for making this look a little more wearable. Just doing it it all with pink is probably just going to look weird. 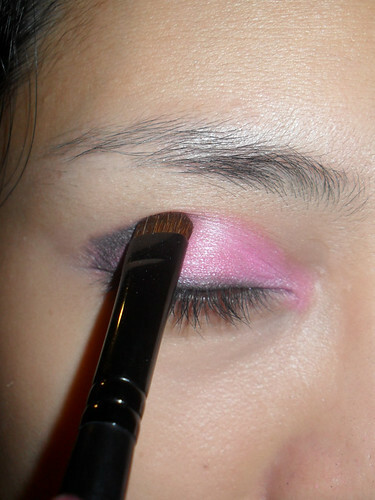 For more drama, don’t blend out the black shadow as much, so you have a more defined black socket line. 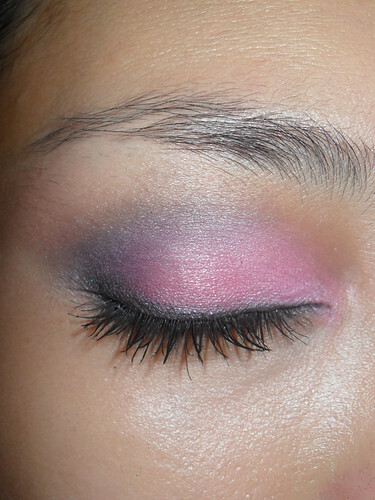 You can also try this with other bright shades or very pale colors. 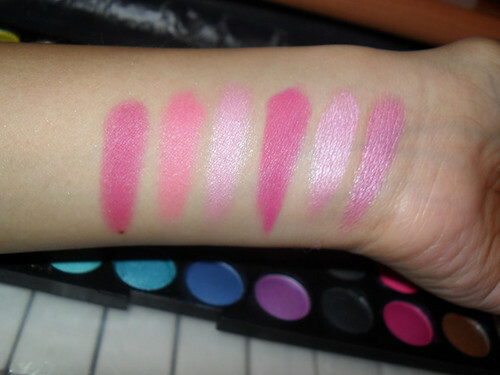 Shades used: 2nd from left (hot pink) and 3rd from left (sakura pink - looks shimmery but it’s not).